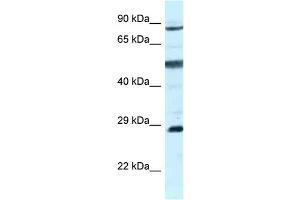 Characteristics This is a rabbit polyclonal antibody against AK7. It was validated on Western Blot. Background AK7 is an adenylate kinase involved in maintaining ciliary structure and function. It has highest activity toward AMP, and weaker activity toward dAMP, CMP and dCMP.